The Aroma therapy is an ancient science that promotes natural health. In aroma therapy various herbs and fragrant essential oils (pleasant smelling scents) are utilized to treat a person. The aromatherapy is a type of complementary therapy and treatment is aimed to help body’s own natural ability to maintain balance and heal. About 150 different essential oils with various therapeutic properties are used to treat and prevent various disease conditions. 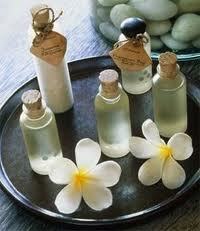 The medicinal property and aroma of the oils relaxes and rejuvenates mind and body. The core of aromatherapy is essential oils (life force of the plants) that are basically derived from the extraction of various plants, flowers, trees, fruits, bark, seeds etc. this pure extract are volatile and can evaporate within short time, however they can be easily mixed with alcohol and vegetable oils like olive oil, apricot oil, and almond oil. It is important to use only pure and natural oil to have maximum desired result. However, use of aroma oil should be done under the guidance of aroma therapist to avoid unwanted side effects.